This post looks at some home remedies for dogs illnesses and symptoms, such as constipation, diarrhea, canine mange, canine allergies, and more. While it cannot be stressed more that professional veterinary care is absolutely necessary for the health and wellbeing of our dogs, sometimes for the occasional diarrhea or minor dog illness symptoms, it may be possible to treat our dogs at home using natural home remedies. 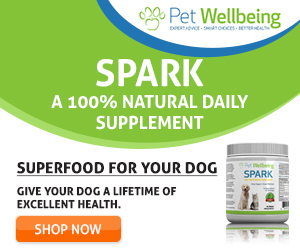 Home remedies for dogs can include anything from the use of herbal and homeopathic remedies, natural supplements, to food and food products. Below is a list of pages on using home remedies to treat various dog illnesses and symptoms. For some physical conditions, it may be possible to use natural home remedies to help with the symptoms so that the dog feels more comfortable. Sometimes, the illness itself can be cured by using home remedies to remove the cause or to boost the dog’s immune system so that the body can fight off the disease. Home remedies for dog allergies include the use of oral supplements such as fatty acids, antioxidants and herbs, as well as topical treatment for dog allergy relief. Visit our page on Remedies for Dog Allergies for more details. If your dog has a mild ear infection, you can also use home remedies to treat the infection. This involves washing the ears with alcohol and vinegar and flushing the ears using essential oils. Visit our page on Dog Ear Infection Home Remedies for more details. Mild cases of kennel cough can be treated at home using home remedies to ease the cough and boost the dog’s immune system. Visit our page on Home Treatment for Kennel Cough for suggestions of using home remedies for kennel cough. While there are dog flea medicines, both orally and topically, that are effective in preventing and treating flea infestations, these medicines are not without side effects. If you prefer to go the natural way, visit our page on Natural Flea Treatment that gives you suggestions on using a combination of remedies to rid your house and your dog of fleas. Mange home treatment includes the topical use of natural herbal remedies as well as oral supplements to boost the dog’s immune system. Visit our page on Dog Mange Treatment for more information. Some foods and supplements can be used to relieve occasional constipation in dogs. Visit our page on Dog Constipation Remedies for more information. Remember that these remedies should only be used when the dog does not show any other signs of illnesses. Also, if these remedies do not bring about relief in 48 hours, you should bring your constipated dog to the vet for a check-up to find out the underlying cause. Minor coughs of brief duration can be relieved by the use of OTC cough medicine and well as some home remedies. Visit our page on Cough Medicine for Dogs for more details. Mild acute canine diarrhea responds well to home remedies and OTC medications. Visit our page on Dog Diarrhea Cures for more details. It is important to monitor the condition of the dog to make sure that he is hydrated and does not show other illness symptoms. Natural home remedies work well in relieving dog’s itchy skin. Topical remedies include the use of food items such as oat and green tea. Oral remedies include the use of supplements and homeopathic remedies. Visit our page on Relieve Dog Itching for more details. Learn how to deal with cracked paw pads, minor cuts, broken toenails, and how to use natural home remedies to to treat minor dog paw injuries on Dog Paw Injuries. If your dog has been sprayed by a skunk and the spray has entered his eyes, you need to take quick action to flush out the spray from his eyes. If not, it may cause corneal ulcerations and injury to his eyes. Learn how to take care of your dog and eliminate skunk smell using home remedies on Eliminate Skunk Smell from your dog.